I know it is played out and in bad taste but I just bought a Jelly Birkin. 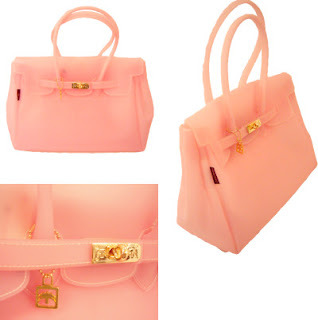 I will never be able to afford a real Birkin and I have an obsession with the color peachy pink, plus I think it is sort of funny. hi! i'm not sure how to send private messages here so i'm writing here. i think we are actually flickr friends, i hope you do not mind if i put a link for your blog in mine.